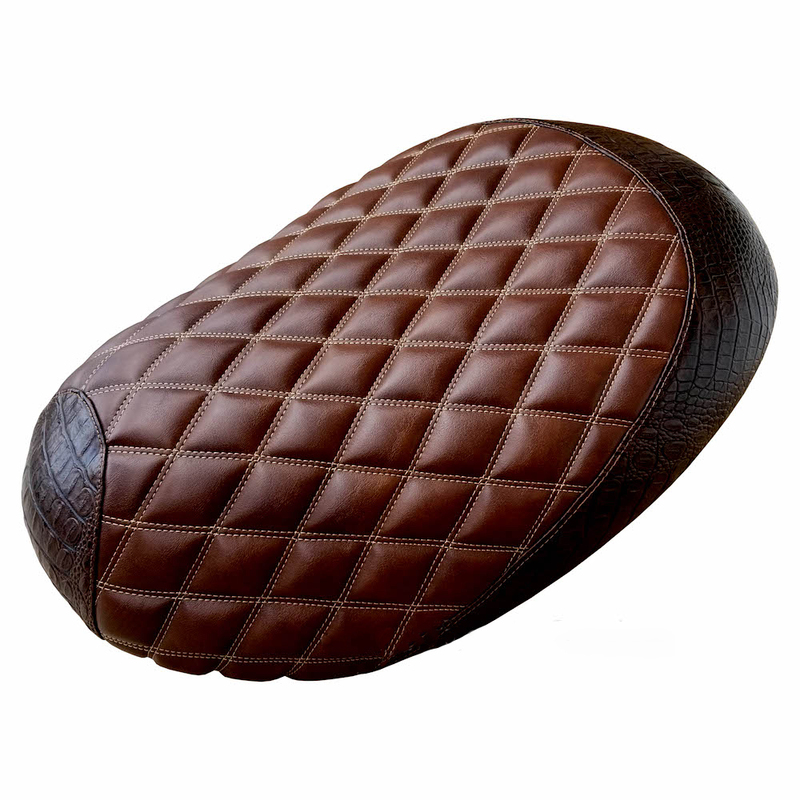 Our hand tailored diamond stitch seat cover will give your Honda Metropolitan a slick, polished look. It's the perfect touch to your custom build, and can be further customized by selecting a different stitch color in the drop down menu above! We kept the theme on this seat cover to a simple, clean and classic black cut. This seat cover is UV stable, so this is a great seat cover for full sun exposure locations, this is marine grade material, it has a cool shine and leather like texture, and is extremely durable. We have sewn high density foam into the seat cover that will improve comfort and help to alleviate rider fatique. On the front nub of the seat, we didn't add foam, we sewed the diamond pattern directly into the fabric to continue the diamond motif. Like all of our Metropolitan seat covers, this item is tailored completely by hand. If you are looking for something different, or a different color or material, just let us know!